A good mattress is the foundation of a good night’s sleep, so choosing which one is right for you really is a big decision. You spend a third of your life on it, and unsatisfactory sleep affects the rest of your life, too. Getting good quality, restful sleep is essential to general health and wellbeing. The variety of mattress options on the market is enormous, making the final decision trickier than ever. And one of the biggest decisions in terms of mattress buying is the choice between firm and soft. There are pros and cons for either, and really the choice is extremely personal. Here are some tips to help with your decision. Aside from personal preference, a main factor when choosing a suitable mattress is your spine health. The spine naturally has three slight curves, and they need to be supported even when you’re horizontal. A good mattress will hold your body in a neutral position. This means your spine will be held in its natural slight curve, and your head, shoulders, buttocks and heels are aligned. On a perfect mattress, you should feel no pressure at all, almost as if you’re floating. Over time, the right mattress can relax muscles, encourage better sleep, and even improve posture. The wrong mattress could leave you waking up with back pain, particularly around the base of your spine, and can interfere with healthy sleep more generally. What’s The Difference Between Firm and Soft? The obvious difference between a firm on soft mattress is the feel. A firm mattress is more rigid to the touch and has less give. A softer mattress will compress more easily when pressure is applied. It’s important to note that mattress feel is not just split into two categories – it’s more of a spectrum. This means there’s lots of choice, which can be both a positive and a negative. All types of mattress can be made from all materials. The firmness or softness of a mattress either depends on the spring tension or general tension of construction within the mattress. However, a mattress can also include an outer layer or some upholstery which affects the perceived firmness. A memory foam topper, for example, can give a superficial feeling of firmness but not actually have the properties of a truly firm mattress. Both types of mattress exist in a variety of budgets. However, in order to get exactly what you want, it can be worth spending a little extra. For those not experiencing troublesome back pain, a firm mattress is will generally be more comfortable. When sleeping on a firmer surface, the bones absorb most of the pressure, meaning there is less stress on muscles, veins and arteries. Muscles are less strained, and circulation is improved. A firm mattress also keeps your lower back from collapsing, which could allow for more oxygen intake while sleeping. 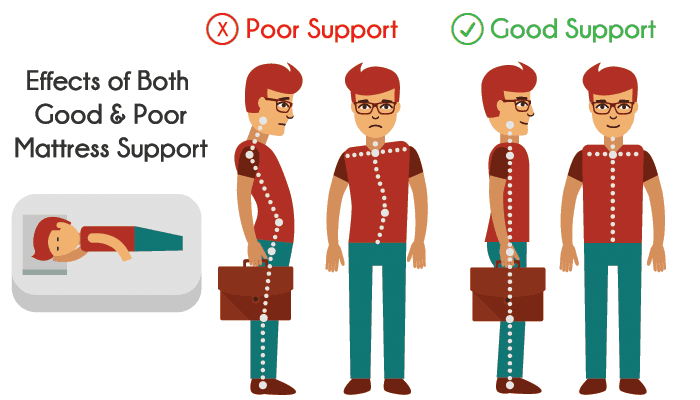 Less sagging can mean the weight of the body is distributed evenly, which means no one part of the body is bearing the brunt of the pressure. Firm mattresses are generally better for those who sleep on their back, because they provide a more stable and even surface. Stomach sleepers tend to fare better on a firmer mattress, too. On a superficial level, the switch from a softer to harder mattress can initially feel very uncomfortable. This usually becomes less noticeable with time. Though they can seem more comfortable and luxurious, a soft mattress can actually cause back problems for back and stomach sleepers, and those of a heavier weight. Soft mattresses can also be problematic for bed sharers. The heavier partner may sink further in, making the sleep surface unbalanced. Finding a firmness that suits both parties can be tricky. 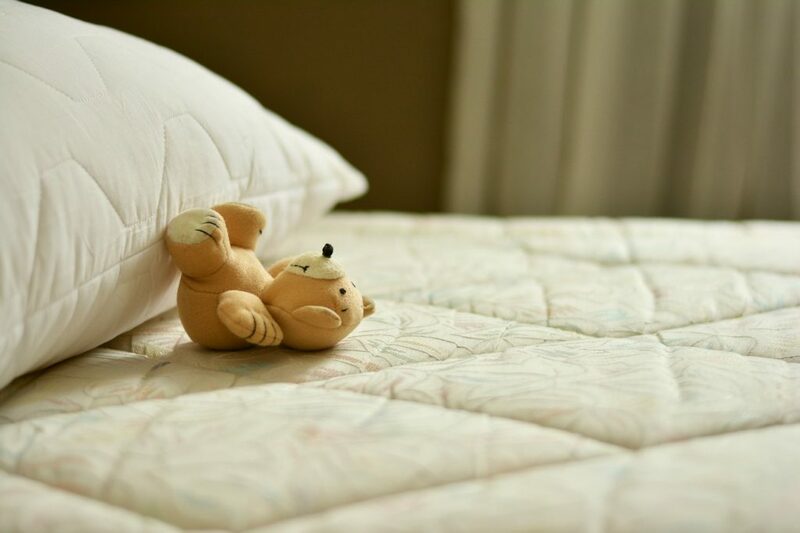 In some cases, soft mattresses may be less long lasting than firm. All types of mattress tend to become softer over time, so starting from an already soft baseline can lead mattresses to become unusable after a shorter amount of time, though there are still many models that have excellent durability, even with a softer feel. The two main choices to consider are whether you generally suffer from back pain or not, and which sleeping position you favor. Those without back pain and who sleep on their back or stomach will likely favor a firmer mattress. Side sleepers or those with back issues may prefer something softer – although it ultimately comes down to personal preference. Another thing that should be considered is weight. A heavier person may find a firm mattress deceptively soft, while a lighter person may not get a huge amount of give even from a softer mattress. Generally an average to heavy build will be better suited to a firmer mattress. Another important element which should not be overlooked is personal preference. Regardless of which is more specialized for your spine’s needs, if you find it uncomfortable, you’re unlikely to get a good night’s sleep on it. And that is the main purpose of a mattress, after all. It’s important to remember that the choice is not exactly black and white. There is a spectrum of firmness within mattresses. Furthermore, one can compromise by having a firm mattress in terms of spring suspension, but adding a plush, soft topper. Overall, it’s really important to properly test out a mattress in order to make an informed choice. Simply sitting down on it in stores unlikely to cut it. There are a lot of factors to take into consideration when buying the perfect mattress for you. The two main factors in your mattress decision should be back pain and your sleeping position of choice. It’s also useful to consider things like weight, whether you share the bed or not, and personal preference. There are not two types of mattress in the world, and properly testing different options is the best way to make a personal decision. Sleepopolis can also help – we have plenty of in depth reviews of both firm and soft mattresses for your consideration, to help you make an informed choice. Do mattresses gather dust mites & be chg’d often? I am allergic to dust want to know people with allergies if mattress be cleaned with soap & damp cloth?